High up in the Catskill Mountains hidden amidst the beautiful forests, lies the castle-like Mohonk Mountain House. It's landscape scatted with beautiful gardens and gazebos glittering their reflections in the mountain lake is filled with myriad of colors and textures. Robust rock, and delicate flowers climb up the mountainside toward Skytop Tower, where on a clear day one may view up to six states in its scenic overlook. 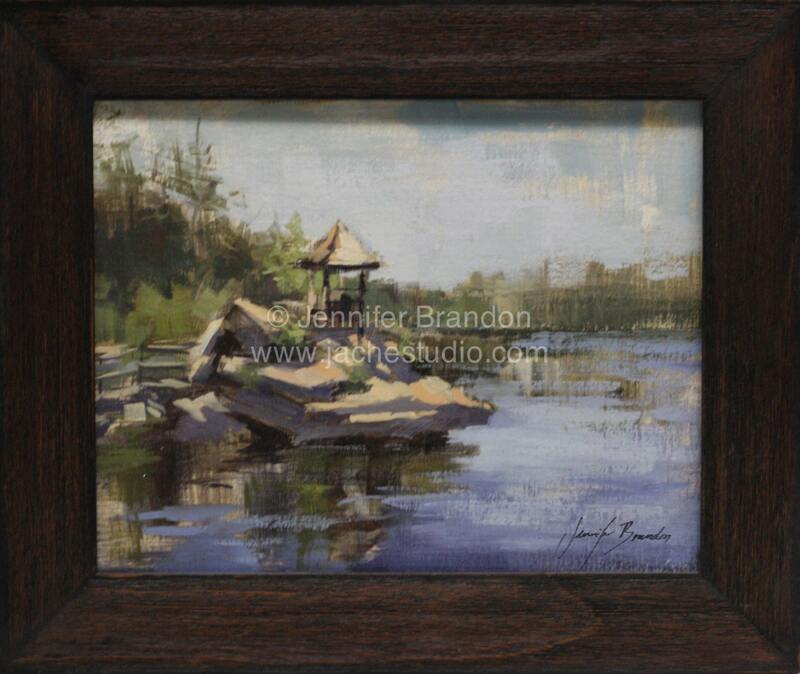 Jennifer Brandon has enjoyed teaching a plein air oil painting workshop at Mohonk Mountain House. 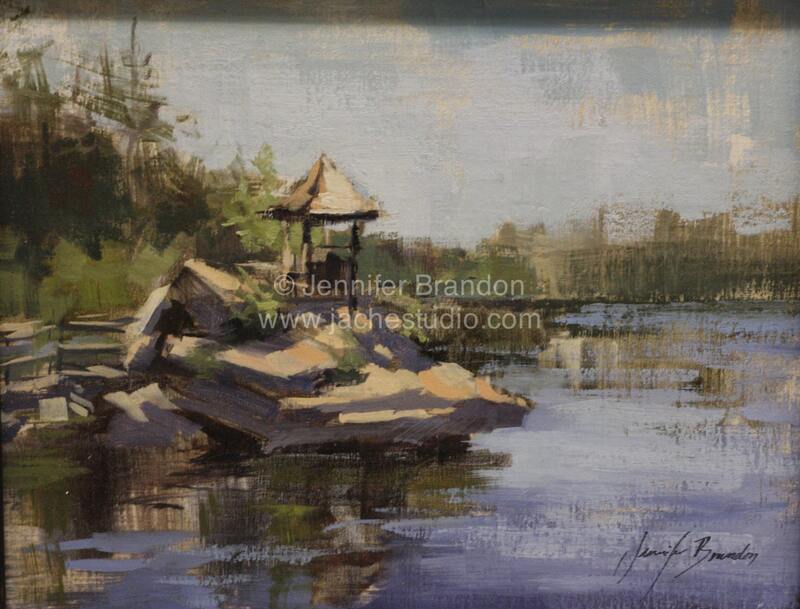 Instructing beginner - advanced painters how to capture the rich qualities of the Mohonk Landscape amidst fleeting and changing light as an artist encounters en plein air. Her paintings reflect the tranquility and richness of life resounding from the natural character of Mohonk's surroundings.